On the heels of the most recent decisions made by the BBWAA, I’m not sure how much stock I actually put into election into the Baseball Hall of Fame. What’s actually the criteria here? Is it as clouded as the criteria for, say, Rookie of the Year? However… the inclusion of my all-time favorite Yankee, Mariano Rivera, on the HOF ballot has peaked my interest. Not to mention, the possibility of several Yankees from the good ol’ days of the ‘90s dynasty making Cooperstown history brings out feelings of nostalgia and longing. The BBWAA may or may not be unqualified to make these choices, but the facts of the situation are that just being on the HOF ballot is considered an honor. Some of these guys on the ballot this year were the reason I got to stay up past my bedtime in October of 1996, 1997 and 1998. And I’d be doing them a disservice if I didn’t do something to commemorate their recognition. As such, without further ado… which Yankees on the ballot are most deserving of HOF honors? I’m admittedly biased with this choice -- of COURSE Mo needs to be named to the HOF, and there's even a chance that he’ll be the first ever unanimous vote. Mo is truly the G.O.A.T. if there ever was one; with 652 saves and a postseason ERA of 0.70, he blows the competition away. His case is only more legitimized by his lifetime ERA of 2.21. 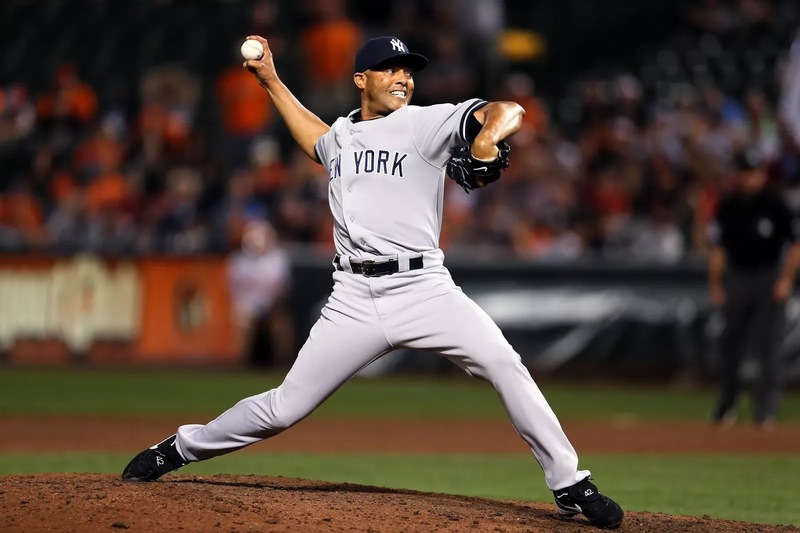 While the Yankees have built a truly excellent bullpen, Mo’s presence has been missed. Aroldis Chapman does a great job as a closer, and prior to Chapman’s tenure with the Yankees, the team of Dellin Betances and Andrew Miller made for a great 8th inning/9th inning setup. But none of Mo’s successors have quite measured up to his legacy. Oh, and no one has quite received the round of applause from the Fenway Park crowd on opening day the way that he has, because Mo even takes his mess-ups (though few and far-between) in stride. Similarly to his other Core Four teammates, not enough can be said about the Great Sandman. Another member of the Core Four, Pettitte, with 256 career wins and 44 postseason starts, showcases numbers that seem like HOF caliber numbers, even taking into consideration that the general public doesn’t even know what “HOF caliber” really is. His case can also be strengthened by his 3.85 lifetime ERA, and his 2,448 recorded strikeouts. 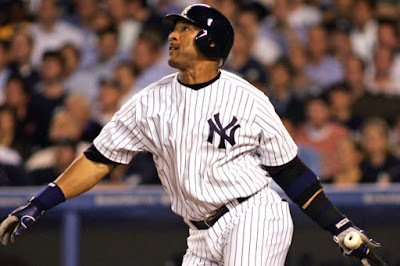 His career spanned 18 seasons, spending time with not only the Yankees but also the Houston Astros. He also holds multiple career postseason records, including wins and innings pitched, and is ranked second in postseason strikeouts. Have the Yankees seen another pitcher like Pettitte? Perhaps it’s too soon to tell for Luis Severino (especially considering his rocky postseason history), and maybe we’ll be able to make a better comparison once Severino has 18 seasons under his belt. It’s almost unfair to compare any current Yankee pitcher to Pettitte, when none of them have his experience in the regular season or in the postseason. It’s almost ironic to talk about Moose right on the heels of the legendary Pettitte -- when, in the minds of fans, Pettitte is the clear favorite. However, that’s not to say that Mussina doesn’t deserve his moment. And, like Pettitte, his career spanned 18 seasons. His career ERA comes in at 3.68, with 270 wins. Those are Pettitte-esque stats. Again, it’s difficult to compare Moose to any of the current members of the Yankees’ starting rotation, when the only member of the Yankees’ rotation who has logged that lengthy of a career (so far) is C.C. Sabathia. But Sabathia may be a HOF contender himself when it comes time -- like Mussina, he came up through a system other than the Yankees, but has made more of his mark as a Yankee than the team he came into the Major Leagues with. While Sheff spent only three of his 22 seasons in MLB in pinstripes, and in all likelihood wouldn’t enter the HOF in a Yankees uniform, his career is still one to marvel at -- and the fact that part of it was spent with the Yankees is worth noting here. Also, he’s the first notable Yankee on this list who isn’t a pitcher. His career batting average comes in at .292, with 509 home runs, 2,689 hits and 1,676 RBIs. None of the current Yankees offensive players have spent 22 seasons with the Yankees, or with any other team. Even veteran Brett Gardner has only played for 11 seasons in the MLB (all with the Yankees, of course), so it is difficult to say whether or not the Yankees have seen another player who is comparable to Sheff. But between his numbers, his veteran presence and his sheer longevity, if I were in charge of the HOF criteria, I’d say he’s in for sure.